Are you in need of more office area for your facility? Before you start look into the idea of a costly relocation to a larger, more expensive location, consider using mezzanines to increase your office space. 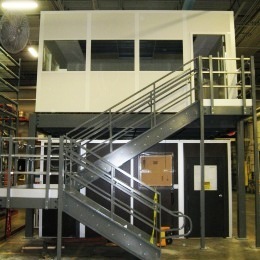 With the use of a mezzanine, your warehouse will double its functionality without interrupting your floor space. 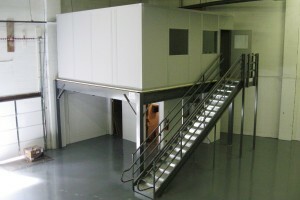 When paired with modular offices, a steel mezzanine is the ideal solution to your need for more office space. Contact us today to speak to one of our representatives about a free quote for your mezzanine and modular office today.